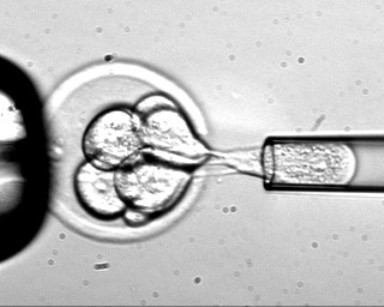 Do you have another serious article about IVF ? Interesting post but I need more information to be more carefully whit my babies. Everyday science progresses more and there are new discoveries for humans. cool this is a great improvement!!! i hope they discover more! I read that scientists have produced the equivalent of embryonic stem cells in mice using skin cells without the controversial destruction of embryos in a newspaper last week. Very interesting information, thanks for the sites! Excellent blog about Major Stem Cell Advance !! I love all the articles you have, you have done an excellent job with the information on them.!!! The work differs from this past summer's big advance, in which scientists dodged the ethical issue altogether, and derived embyonic stem cells from mature cells. IF embryos will be safe then that's a good news and needn't worry much as well. The science and technology is such a powerful tool that you will be astonished seeing its miracles. I see you've smoothly segued from writing about family matters to more internet appropriate material. Pretty good post, this is one of the best articles that I have ever seen! This is a great site and I have to congratulate you on the content. The seafood can be consumed fresh throughout the year, although its market price is cheaper during the winter. It is mightily convenient, if you deprive your citizens of political liberties, to portray these as a bourgeois luxury. Quite an interesting article I must say, it was very interesting to find out this information! Thanks for sharing this article here! though it does seem that embryos that do survive the procedure suffer no ill effect. Interesting post, really. I've been following updates on stem cells for a long time, very intriguing topic to discuss! All the stem cells inventions are vital and very serious breakthroughs in all the world's science! Thank you very much for this great article, everyone should know about it the more the better!